Sunday was a good day for Brett Badovinac. 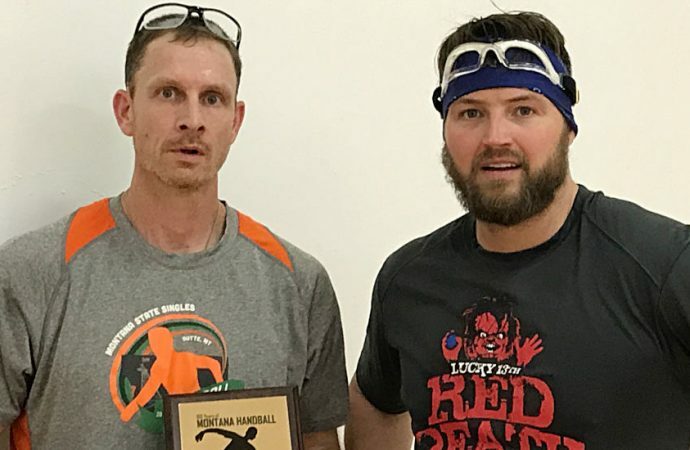 The 46-year-old Butte man claimed his second state handball title in three years, beating four-time champion Chance Wachholz 21-10, 21-12 in the open division championship match at the Butte Elks. The win avenged a 2015 title-match loss to Wachholz, who won the state title in 2009, 2013, 2015 and 2016. Badovinac said his conditioning was key in the victory. “I put the miles in on the treadmill, and it paid off,” he said. 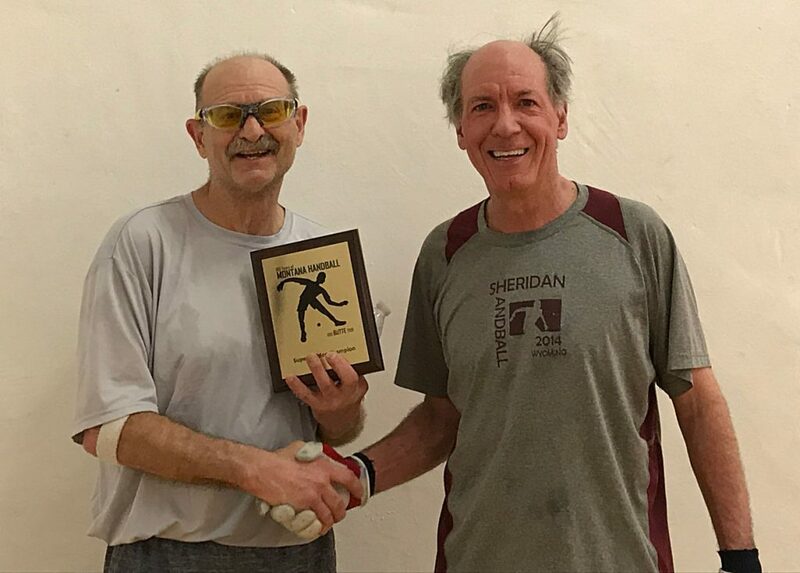 Anaconda native and former long-time Butte resident Tom Morris of Billings defeated Butte native Monk Semansky of Highwood 21-9, 15-21, 11-9 to claim the 70-plus Diamond Masters division. The state title is the 11th for Morris, who won his first in the 40-plus Masters Division in 1988. He now has four 50-plus Golden Masters titles, two 60-plus Super Golden Masters crowns and four Diamond Masters championship under his belt. Morris also has 11 state doubles titles to his name — seven with Butte’s Jerry Kriskovich and four with Red Lodge’s Russ Whitten. 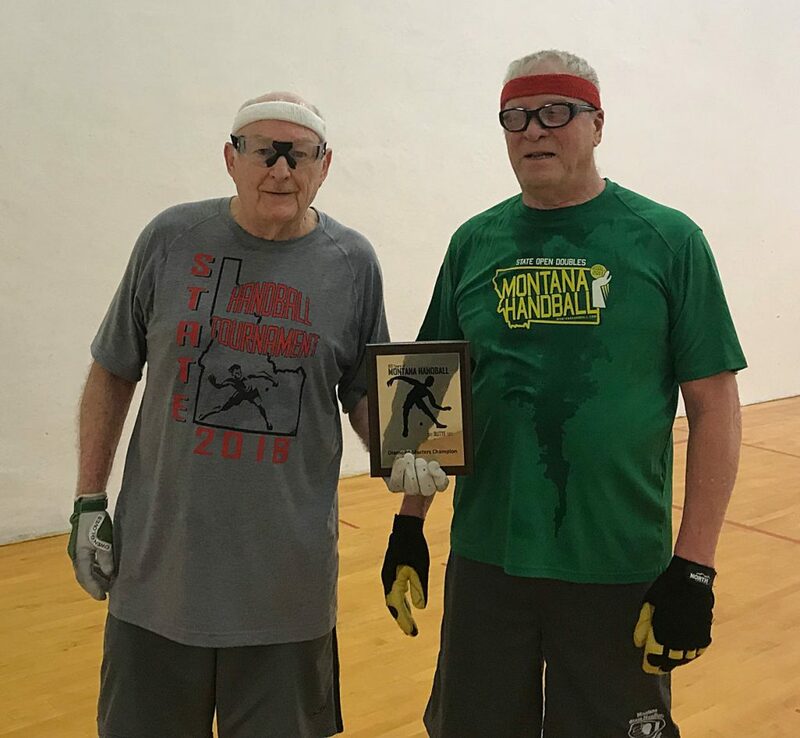 Kirk Johnson defeated Don Schmidt 21-16, 21-10 in a matchup of Missoula players to win the Golden Masters division. Billing’s Mike Meyer defeated Butte’s Mike Hitchcock 21-18, 21-13 to win the Super Golden Masters title. Eric Aschim defeated fellow Missoulian Nate Guza 21-13, 15-21, 11-5 to win the A division, and Missoula’s Luke Alford won the B division in a round robin format.